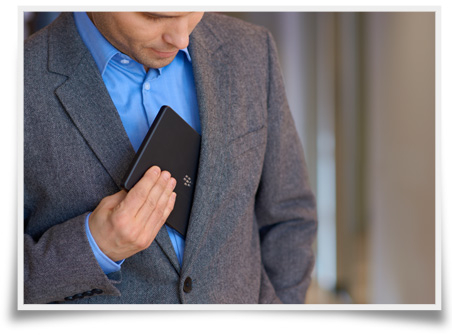 Development on the BlackBerry PlayBook 10" ceased, efforts now being put towards new QNX BlackBerry smartphones? Although the 10" BlackBerry PlayBook remains a rumor at this point as far as RIM is concerned there is no doubt that there is more then a few versions of them out there being used and tested. As we know from recent events, RIM always has a development path they like to follow and the next BlackBerry PlayBook was on that list but given that development path has finally got them in trouble it's now being suggested development on the next BlackBerry PlayBook has ceased. Reason for it? To concentrate development efforts on the next set of BlackBerry smartphones powered by QNX. Taking all things under consideration, this isn't all that much of a stretch of the imagination. Quite frankly, this is most logical rumor we've heard about RIM in quite some time. They've already admitted for lack of better words that they got caught with their pants down in terms of their development cycles and now we're stuck waiting for BlackBerry 7 powered devices with QNX enabled BlackBerry devices at least a year out. If all turns out to be accurate here, we should be seeing QNX arrive on a hand-held sooner then expected, assuming RIM can redirect the development accordingly. Alas, it's all still just a rumor at this point and we may never know what, exactly RIM has planned. One thing is for certain, this rumor needs to be reality and should have been a reality six months ago or longer.